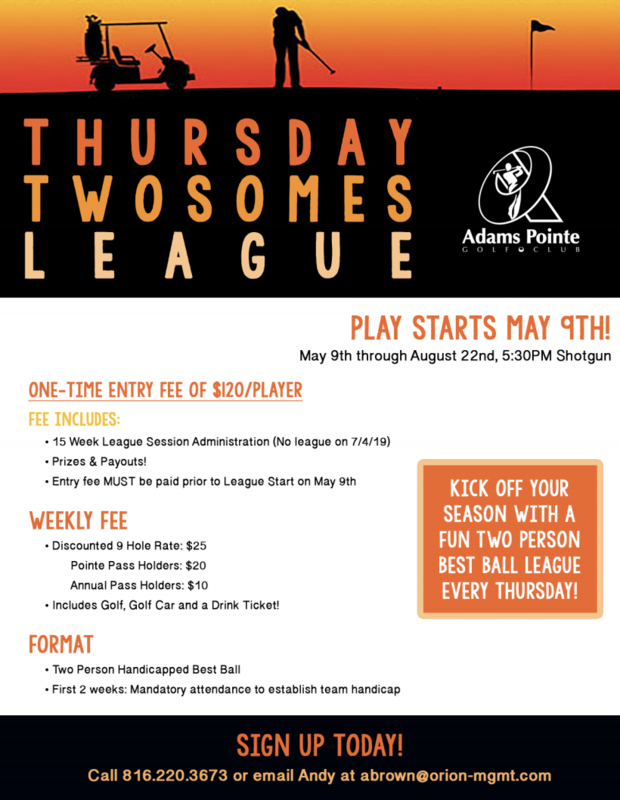 Adams Pointe, the city of Blue Springs' 18 hole Championship Golf Course, is located about 20 minutes east of downtown Kansas City in the rolling hills of Blue Springs, Missouri. A unique layout, skillfully carved out of woods and wetlands, superior playing conditions, and the friendly, professional staff consistently make Adams Pointe one of the premier choices for your Kansas City golf experience. 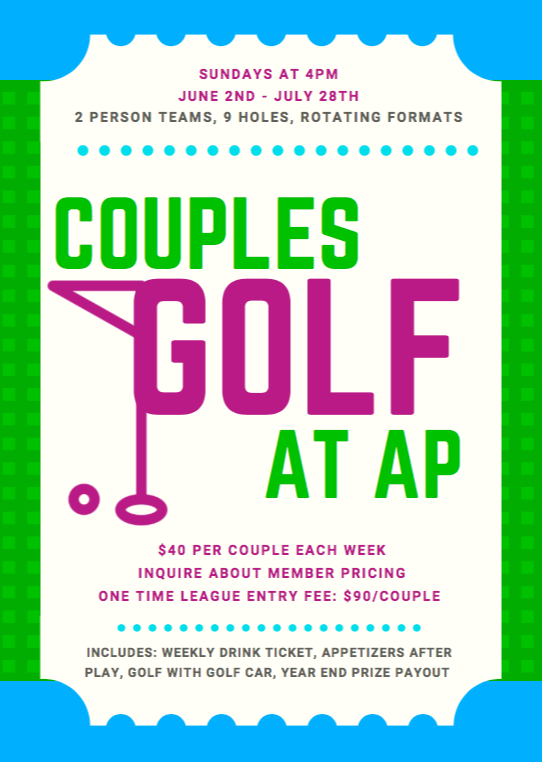 Just minutes from downtown Kansas City, Adams Pointe Golf Club's 18-hole Championship golf facility is set in the rolling hills of Blue Springs, Missouri. Designed by noted local architect, Don Sechrest, Adams Pointe is highly regarded in the Kansas City golf community for its layout and superior conditions. The course is skillfully carved out of forest and wetlands in the challenging front nine, while the back nine offers scenic links-style golf with dramatic elevation changes. Adams Pointe is definitely the talk of the town and annually regarded as a "premier place to play" in Kansas City. Adams Pointe is also annually recognized for its' Environmental Excellence. The course annually achieves designation as a "Certified Audubon Cooperative Sanctuary" by the Audubon Cooperative Sanctuary System. Adams Pointe was the eighth course in Missouri and the 472nd course in the world to receive this honor. To achieve this certification, Adams Pointe must maintain a high degree of environmental quality in the following areas: environmental planning, wildlife and habitat management, chemical use reduction and safety, water conservation, water quality management, and outreach and education. Adams Pointe truly brings meaning to 'Going Green'! Our facility underwent major playing surface changes during the fall of 2004. Adams Pointe converted the fairways from Quickstand Bermuda to luxurious Bentgrass in all of our fairways and greens. 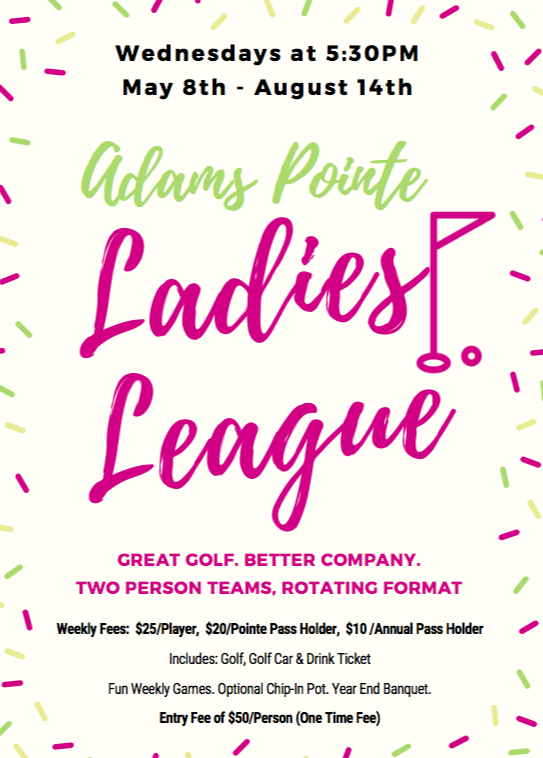 The addition of Bentgrass has provided Adams Pointe with a more reliable and beautiful playing surface in the fairways—resulting in an overall better experience, for every player. Additionally, the over-seeding of Fescue into our rough in the fall of 2006 marked the final riddance of the existing Bermuda grass from the course. Consistent, year-round, playing conditions throughout the course are sure to vault Adams Pointe to the top of your favorites' list! Above and beyond our superior course conditions and friendly staff, you are sure to enjoy our in-cart GPS system! This accurate and convenient yardage system assists pace of play, and allows you 'local knowledge' of the course..... even if it's your first round with us!